SINGAPORE - A hullabaloo over Hainanese chicken rice has been simmering over the past week. And no, it is not about which hawker stall does it better. A recipe for one of Singapore's beloved national dishes, paid for by British grocer Waitrose & Partners, was published in British newspaper The Guardian on Oct 3. 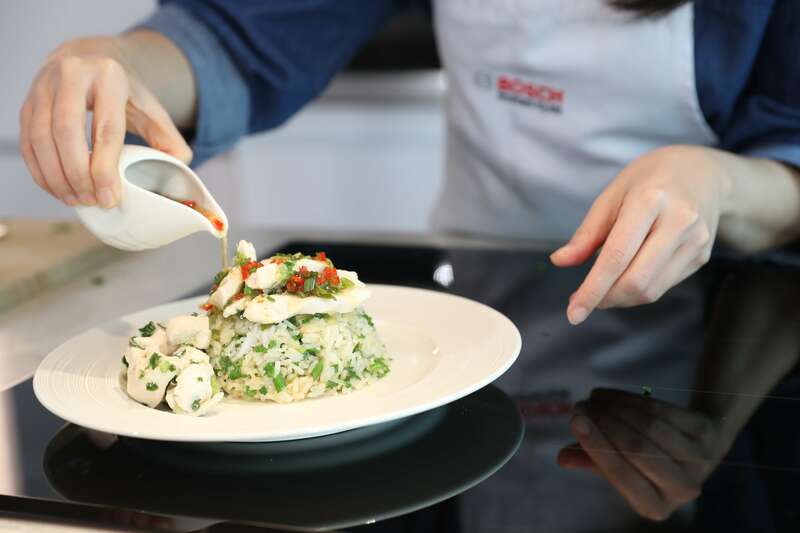 Netizens are riled up over this version of Hainanese chicken rice, calling it an abomination. For one thing, it looks nothing like the dish that diners who may have been to Singapore and Malaysia are used to. Moreover, the ingredients in this recipe are made up of just chicken breasts, rice, scallions (lots of them) and Hainanese paste, which I assume to mean instant Hainanese chicken rice paste, available at supermarkets; as well as chilli, lime and honey to make a dipping sauce for the poached chicken. But where is the chicken fat? Or the other requisite ingredients such as sesame oil, ginger, garlic or pandan leaves? No mention of ingredients for a piquant chilli dip or ginger sauce here either. Sure, this is some form of chicken rice - at least the rice is cooked with chicken stock - but it is certainly not Hainanese chicken rice. The only thing Hainanese about it is the instant paste. The published recipe was accompanied by an interview with British actress, cook and cookbook author Lisa Faulkner, who won Celebrity MasterChef UK in 2010. Her partner is MasterChef UK judge John Torode, the judge known for his "crispy" rendang remark that sparked a furore. Netizens spent last week chiding Faulkner about her recipe on social media. But it turns out that the recipe was not hers. Last Thursday, she tweeted: "It is not my recipe. It was cooked for me and I ate it. I do not pretend to be a chef. I didn't make this recipe up. I am just a home cook who did an interview and are (sic) a dish that was cooked for me. Please stop." Well, this home cook tested the recipe to see what the fuss is about. The recipe says prep time will take five minutes, while 20 minutes is required to cook it. 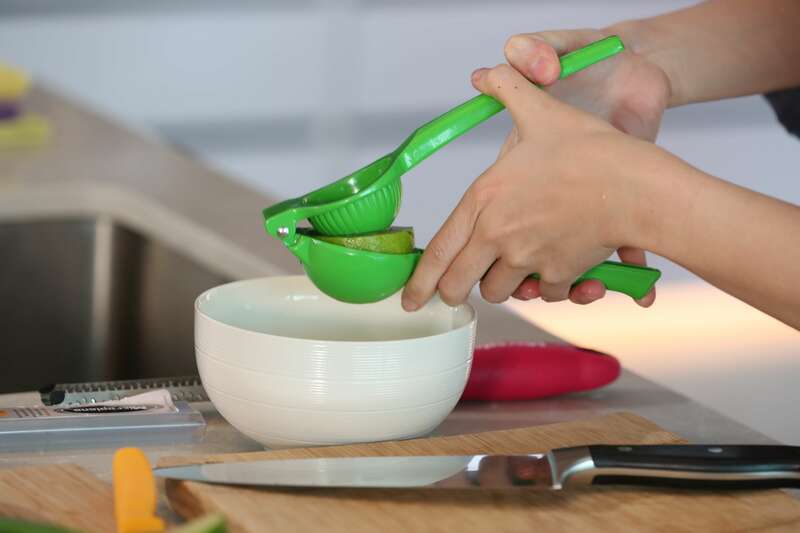 The dipping sauce calls for the juice of one lime, two tablespoons of honey, half a finely chopped chilli and one tablespoon of chopped spring onions. It is a little too sweet for me but nothing you cannot fix with more lime juice. Chicken breast is not my choice cut but I use it, for the purpose of the recipe. 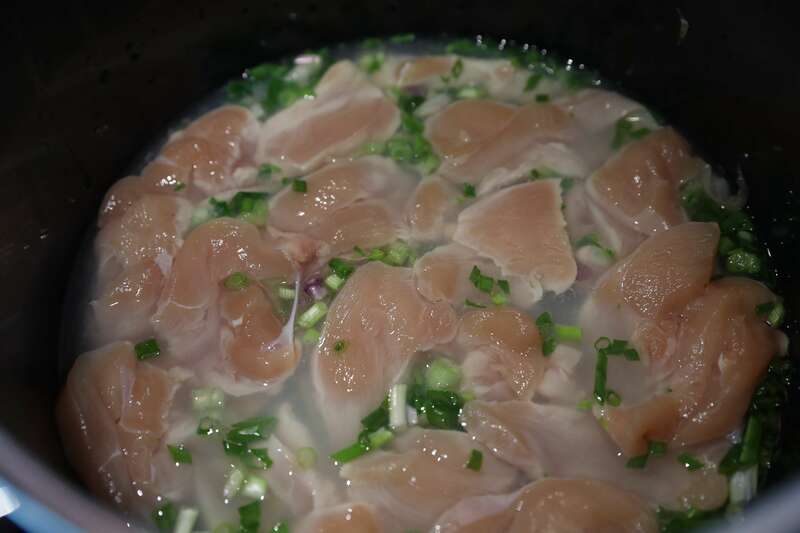 The recipe says to poach thinly sliced breasts with scallions in 350ml of water. It does not look appetising, but at least it is healthy. Perhaps if the breasts are poached whole, they may not turn out as dry. I remove the cooked meat from the poaching liquid and add 150g of washed Thai hom mali rice into the pot. I cover the pot and let it cook for 10 minutes. Next, I add in 40g of Hainanese chicken rice paste. The recipe calls for a paste from Waitrose. 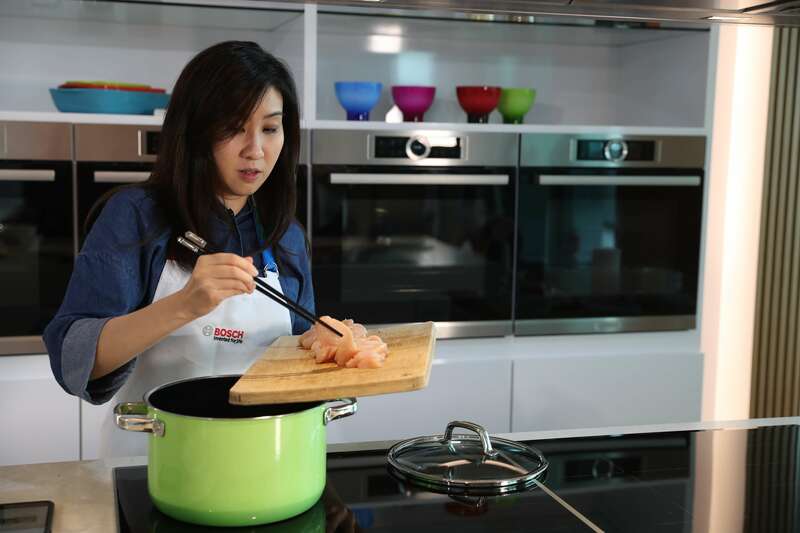 I can't get it here so I use Prima Taste's Fragrant Hainanese Chicken Rice Paste, which is made with ingredients such as chicken stock, chicken oil, ginger, shallots, lemongrass and galangal. I stir it through. Ah, that is where all the flavour will come from. It is a tad strange that the recipe did not tell me to add the paste to the stock during the rice-cooking process. But never mind. I taste the rice again, then with some chicken, drizzled with the dipping sauce. Surprisingly, and this even came as a shock to me, it wasn't bad. I eat a couple more mouthfuls. I could definitely eat more of this. I take a serving to work and ask food critic Wong Ah Yoke to try it. He gives it a once-over. It looks like a one-pot dish, he says. After a few bites, he adds: "At least the rice is cooked in stock. But why are there scallions? They are in every mouthful - I keep biting into scallion." The dipping sauce is too sweet for him and breast meat is not his favourite cut - too dry, he says. "The dish is not inedible. It is pretty decent food but no, this is not Hainanese chicken rice," he says. The rice gets enough flavour from the store-bought Hainanese chicken rice paste and chicken stock, so this version is not too far off the mark. It is a simple meal with minimal prep and effort, and only a handful of ingredients. Plus, it takes only 20 minutes to cook, compared to having to dunk a whole chicken in boiling water six times, according to a Boon Tong Kee recipe. The dipping sauce has a little zing and works if you do not like chilli or cannot eat spicy food. All things considered, it is pretty good. And I like spring onions too, so that helps. As another colleague put it: "This is not bad. Not authentic, but not a national insult." ALSO READ: Crispy rendang chicken? Malaysian chef says 'Why not?"